Your new summer sandals are so cute. I have to ask....were they comfy? 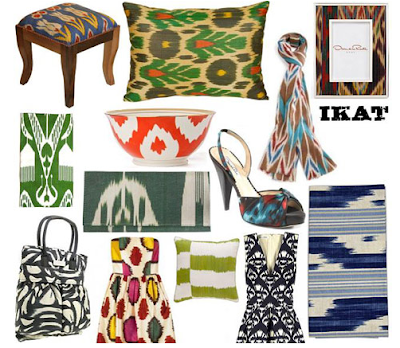 I have never heard of ikat before although I have seen that print before. I really like it. I would love to have a scarf in it with some great colors. 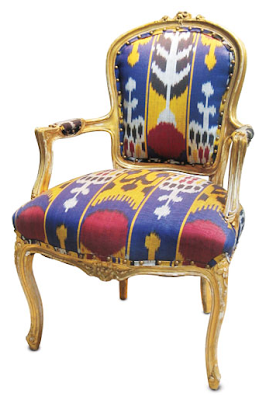 I go back on forth on ikat. Sometimes I start to warm up to it... but I think deep down I'm not a huge fun. But I don't mind it on others... just not something I would pick for myself. I like! I feel like this is a pattern that is hit or miss. Certain colors, designs or shapes are probably not flattering it all on clothes. On the other hand it looks like if the right combo is created it could be a gorgeous staple in your closet this summer. I love the home decor with this design, especially the pillows. I never thought I would say this, but I am sort of sick of animal print. This is just enough of that exotic look without looking gaudy Jersey Shore. I've never heard of this design before. Thanks! Love the new shoes you bought! Super-cute! I adore these prints! I love anything tribal/bohemian. Cute! hmm.... not sure how I feel about these prints. I think it looks great on some things, not on others. 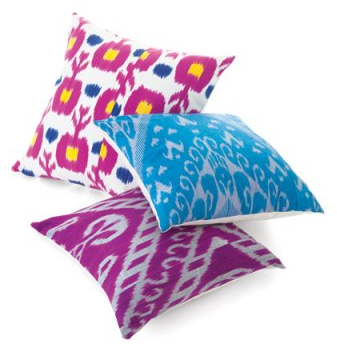 Love the pillows though! 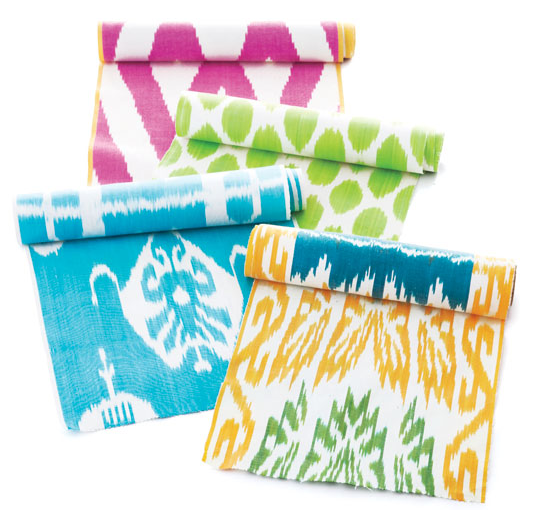 Ikat is amazing, I love all of the fun prints that are out there lately! Yay! 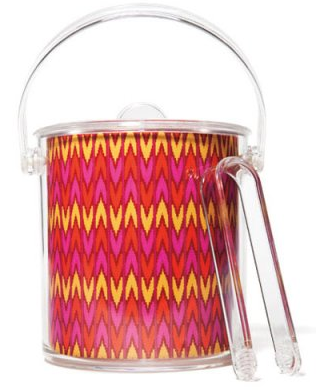 The teapot is the most darling shot of ikat! 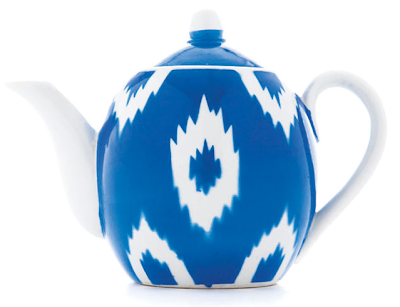 I love Ikat...and I'm with Jessica...that teapot is fabulous! I actually really like that dress and especially like the teapot. It's so fun and cute!